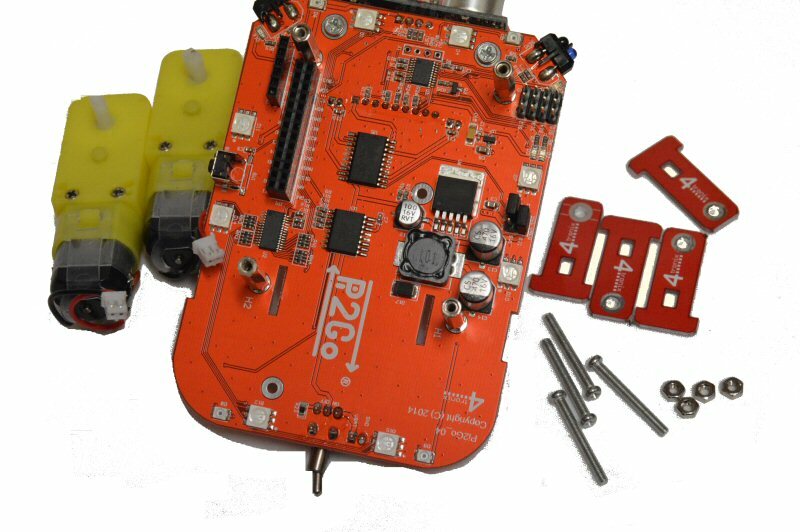 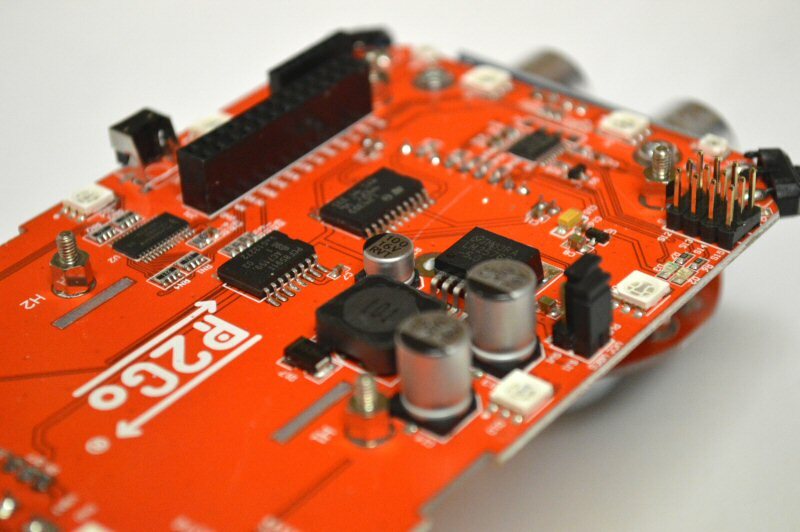 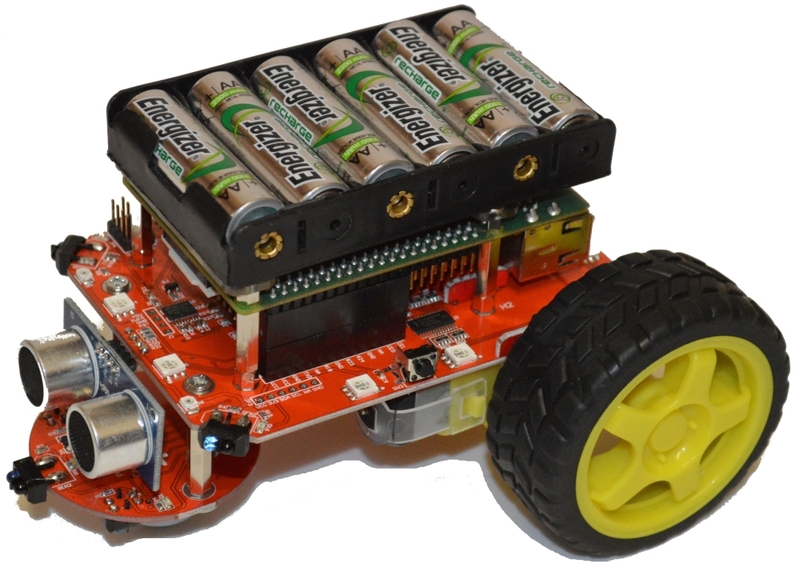 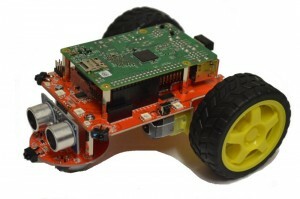 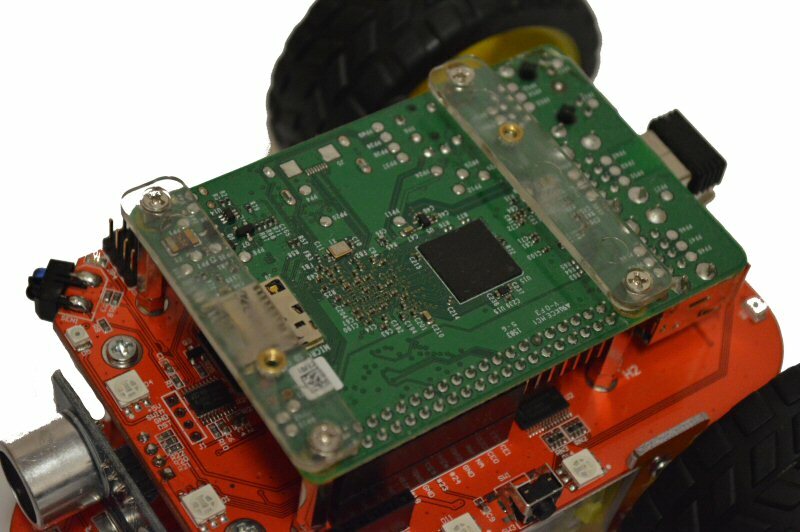 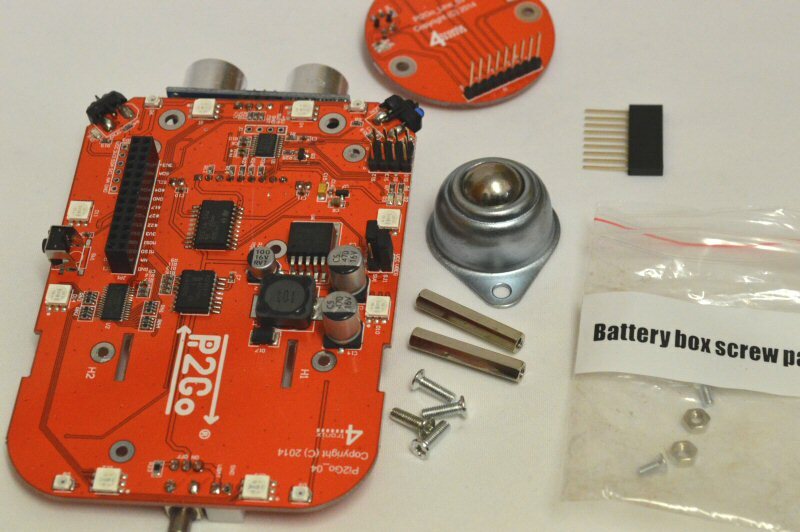 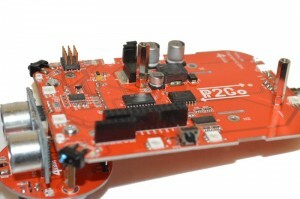 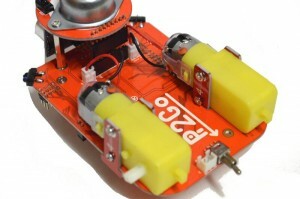 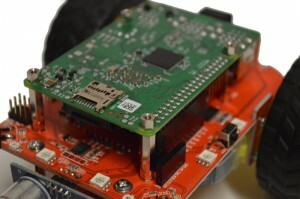 Pi2Go is the pre-soldered big brother of the popular Pi2Go-Lite kit. 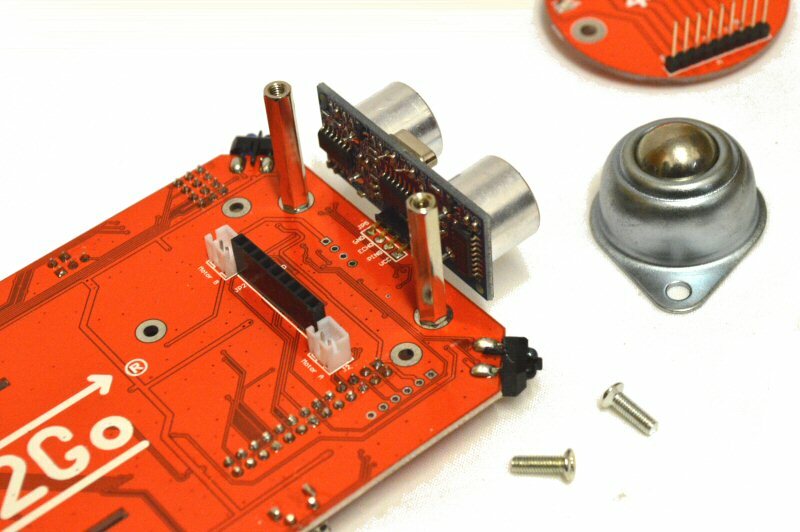 Assembly is simply a matter of screwing together and plugging connectors. Fitting the pillars is a 2 step process: 1) fit the small 5mm pillars, 2) screw in the 16mm pillars. 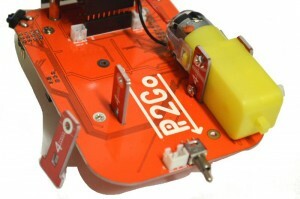 Using the extended header (in the bag with the battery box), connect the Pi onto the Pi2Go PCBA. NB. Ensure that the mounting holes line up with the pillars! If they don’t then the Pi is not fitted correctly and may be damaged. 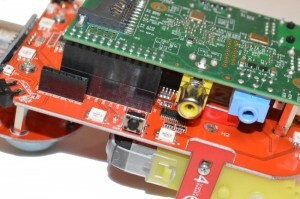 The above photo shows the RPi 2B in place. 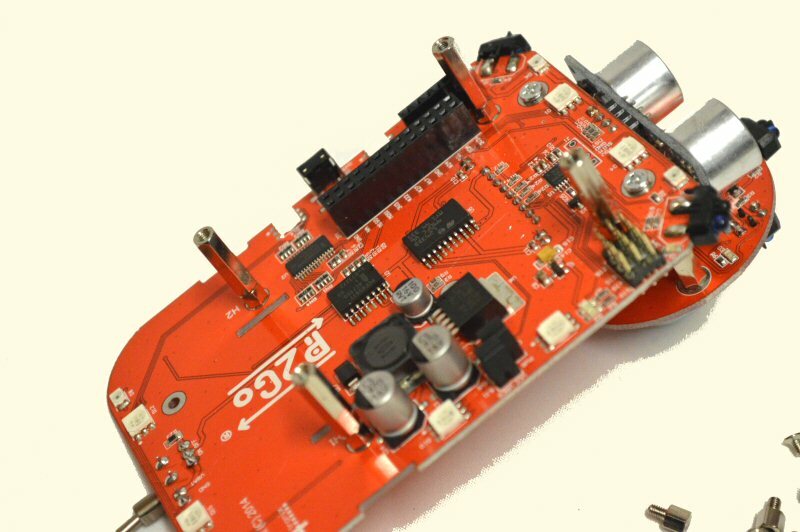 The A+ and B+ fit the same way. 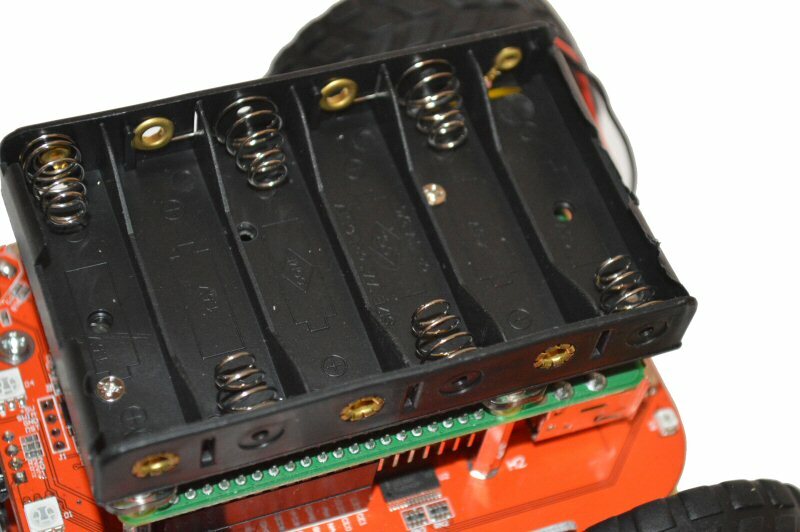 Ensure the one at the front has the threaded insert on the left of the Pi2Go and the one at the rear on the right. 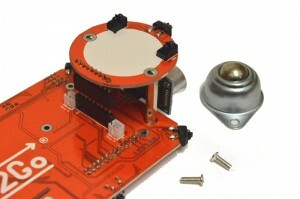 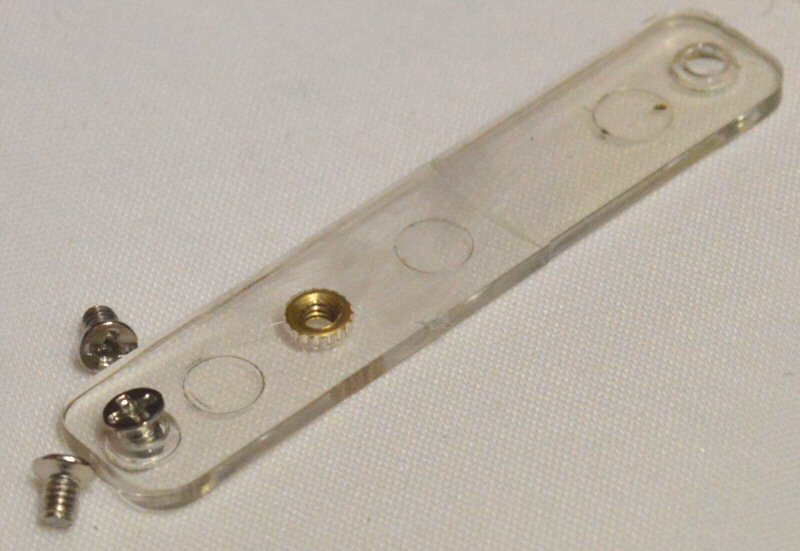 Also ensure that the wide parts of the mounting holes are at the top so that they can accept the heads of the screws. Now you can add batteries, software and enjoy!